For some reason, I landed on the forums at MormonApologetics.org the other day. Oh, I remember. I got there from FAIR, which I occasionally visit just to see what's new. There are two major LDS forums which I like to visit: The LDS.net forums, part of the MoreGood Foundation and MormonApologetics. The latter is the more wild and woolly debate board. Be careful if you post there and are expecting to be treated with kid gloves. That won't happen. Now there are other discussion boards that are frequented by members and ex-members but I won't link to them. I don't know why I even mention them but hey, it's a fact of life that if you are a member of the Church and you use the Internet then you have probably found them before. They are about as unavoidable as your basic anti-Momon site, of which there are hundreds. A popular one is The Foyer and another is PostMormon. There are many others. The reason I brought this up is because I wanted to respond to one of the recent threads on MormonApologetics. So why don't I post my comments there? Well, this is my blog and I write my essays here. That's why. The entry that prompts today's essay is from a recent convert who writes that he is struggling with the concept of the Church of Jesus Christ of Latter-day Saints being the only true church. He wonders why we say that. He says that it feels arrogant. Add to that scripture the testimony of Joseph Smith as he recorded what the Savior said to him in the First Vision received in 1820. He asked which church he should join. "I was answered that I must join none of them, for they were all wrong; and the Personage who addressed me that all their creeds were an abomination in his sight; that those professors were all corrupt." That's a fairly harsh condemnation of all other churches, isn't it? Did the Lord really say that? I believe he did. I have no reason to doubt the boy Prophet's recollection and testimony of what happened on that beautiful Spring morning so long ago. True, he was but fourteen years of age when he received the visit. It is also true that this account in Joseph Smith History 1:19 was dictated to a scribe some eighteen years after the fact. We know that the Lord speaks to men according to their understanding and knowledge. Joseph was impressed to use those words. So in what way are other churches wrong? And don't we teach that we invite others to join us bringing with them all that is good and right with their beliefs? Of course we do. But in what sense can we claim, and we do, that we are the only true church upon the face of the earth? In priesthood keys, my friends, in priesthood keys. Why this point escapes so many is beyond me. It is such a basic claim and such a fundamental tenant of our religion. How can you miss it? I hope it doesn't bother you when someone gets up in testimony meeting and says, "I know this church is true. I know it is the only true church." What more can you say when you hear that? The person is sharing a witness borne of the spirit that they know for themselves that what Joseph claimed and taught was true. He did indeed receive the keys of the kingdom from John the Baptist, Peter, James, John, Moses, Elias and Elijah. This is what makes our church true. We are not trying to be arrogant. We are not trying to say that we are better than anyone else. We are only saying that if you want to receive the ordinances of salvation from an authorized representative of Jesus Christ, then we offer them to you. If the Savior taught that we need to be baptized by one having his authority, and he did, then I would hope that a true follower of Jesus Christ would want to be sure that an authorized representative performs the ordinance. This is basic doctrine. It is not new. I cannot understand why someone would leave this church, no matter what the reason, when they know that this is true. It doesn't matter who offends you. It doesn't matter that the members aren't perfect. It should not matter that the bishop or the Stake President or the General Authorities are not perfect. It should not matter that we are not perfect. All that matters is that we receive the ordinances and remain true and faithful. Update: Read what a modern prophet had to say about the subject. President Henry B. Eyring delivered a wonderful discourse on the subject of The True and Living Church at General Conference in April of 2008 just a few weeks after I wrote this essay. Note especially his discussion of keys, and ordinances and sealing power, all fundamental parts of the true church. Great essay, and I would only add that the LDS Church sees all people as living valuable and essential lives. The LDS Church does NOT claim like some religions: "Be a member or be damned." Rather it claims there is a single pathway, Christ and his essential truths, that will be opened to all populations in this life or in the spirit world. Consequently, even the farther populations of Asia that have never heard of "Mormons" will eventually learn the pure truth and have every chance to return to God. The LDS members, here and now, are NOT the only ones who will return to God. Rather, the LDS are servant messengers carrying the word to as many as will listen in attempt to build the kingdom on earth. The true plan of salvation is a plan for success, not failure. It is from this true plan of salvation that allows me to be a Mormon. I could NOT be a member of another Christian church that believes MOST of the world is going to hell. Such false doctrines promote a failed atonement and a failed god. Tim, I stumbled upon your blog while preparing for a talk; the topic - "The True and Living Church". I have been reading all I can from past leaders of the church, as well as present. I found wonderful views in Pres. Eyring's recent conference talk (of the same title), as well as an old address by President Kimble, titled "Absolute Truths". I enjoyed your post, and I agree with you. I would also add that the Church can claim such a title because we are, as ever, led by a living, caring God. Our Savior, Jesus Christ still leads his church, and directs it as necessary in this, the final dispensation. He has the knowledge and authority to make adjustments, expansions, and give further revelation to us, either individually or to the Church as a whole. That is what really makes it the Living Church, for me, and I am extremely grateful for such a reassuring knowledge. It is a wonderful thing to not have to rely on thousand-year-old texts written by long-dead prophets, written and directed to specific people in specific cultures. The gospel is both absolute, and at the same time very personal. Without a living prophet being directed by our living Savior, it would be impossible to maintain a steadfast direction for such an immense body of saints. I'll stop before I become completely immersed in the topic - thanks again. Thanks for the blog - I am gathering more info for my talk(like above poster) and might use some of your posting as an intro into Pres. Eyring's conference talk. First of all, a comment about lds.net. I used to belong to that site (as a non-mormon). At one time I was warned to tone down my "anti-Mormon" sentiments. I thought I did. I was very careful in how I worded my comments so as not to be offensive. Then all of a sudden, I was "temporarily" kicked off the site. I immediately tried to email the site moderator to discuss what they thought I did wrong but, because I was kicked off the site, I wasn't even able to email the moderator. I was never able to get back on the site again. Perhaps the Mormon church isn't as open minded as you, dear Tim, would have us believe? At any rate, let's move on. What foundation did Joseph Smith lay? In the Bible we read, "no other foundation can be laid but that which has already been laid." Christ is the only possible foundation of the biblical church. Is that the foundation Smith laid? The answer can only be no, for, the foundation-Christ-had already been laid in New Testament times and what Smith was advocating was totally different from the biblical church. Next, in the first vision, the creeds are said to be corrupt. The problem with this is that the creeds are neither more nor less than thoughtful summaries of biblical teaching. God is not going to say that His own word is an abomination. Over and over again in the writings of Smith we hear a man tryng to speak as an authority on the Bible who really doesn't know much about it. The first vision is a perfect example of this. For example, in one of the creeds we read that "Jesus is very God of very God and very man of very man." In other words, Jesus is both man and God. The Bible itself explicitly states several facts about Jesus which could only be true of Him if He were a human being. At the same time, it states several facts of Him which could only be true of Him if He were God. That is what the Bible itself says and, yet, we are to believe it was the invention of apostates of Christianity drunk on the wine of platonic philosophy? It just doesn't wash. So to say the creeds are an abomination is to say that the Bible is itself an abomination. The next claim, of Tim's, is that God really did say such harsh words against orthodox Christendom as Smith reported. This is inconsistent with the common Mormon claim (not necessarily made by Tim himself) that the LDS are just spreading the message they believe in but never attack any denomination. The first vision which they whole-heartedly accept, attacks ALL denominations. I have no reason to accept what the 14 year old boy said. The impression that I have is that Tim has no reason either-only feeling (and/or the corresponding personal revelation-little to no objective evidence, in other words). What can we say about the priesthood keys? Everyone misses it because it is not there. There is a single verse in the entire Bible (with parallels?) that is very obscure in its meaning. The entire edifice of Mormonism is built on this single unclear passage. Peter is given the keys of the kingdom. But what does that mean? It takes more than just a single unclear verse to esablish a new religion. What is more, the priesthood ended with Jesus. You see, in the Old Testament (and New, for that matter) there was a (singular) temple and the priesthood was intimately connected with the temple. The temple itself was a type of the body of Christ. And the sacrifices which took place in the temple, by the priests, were symbolic of Jesus as well. They were just the shadow. The reality was Jesus Himself. When He died on the cross He said, "it is finished," and the veil in the temple was torn in two. In other words, Jesus opened the way to God for the common man. The Jews didn't have to come to God through the priesthood any longer. Then in 70 AD the (singular) temple was destroyed and to this very day Jews no longer worship in the temple (because there is no temple for them to worship in). So Jesus is the great high priest and we need no other. The priesthood became obsolete. So their are no longer anymore preists to hold authoritative keys (whatever that is supposed to mean). Then, when someone bears their personal testimony, there is a great deal we can say in response. Like, "that is just subjectivity you are appealing to and ALL religious people can do that so you really ought to have some objective underlying reasons-you don't?-then you really don't seem to know what you are claiming to know." By the way, "Elias" is the New Testament way of saying "Elijah". They are one and the same person. If Joseph claimed otherwise, he was incorrect. Someone would leave Mormonism, in many cases, because they learn for themselves what the Bible REALLY says. If we are going to believe the Bible we simply cannot be LDS. Don’t judge the LDS Church by your experience with LDS.net. That is not sponsored by or run by the church in any way. It is a volunteer organization that is led by a recently returned mission president who saw the need for more positive information about the church on the internet. The people who help out there, except for a very small paid staff, are all volunteers. So when you write that the Mormon Church is not open minded based on your experience at LDS.net, you’ve unfairly judged an entirely different organization. In like manner, you should separate what I have to say here on my blog, which is entirely comprised of my opinions and interpretations of LDS doctrine and practices, with the official information found on lds.org. LDS.org and LDS.net are not associated. One is institutional and the other is private. And I’ll be frank with you. Based on the comments that I have read from you so far here on my blog, yes, I can see why someone could easily find your writing to be offensive to Mormons. I can understand why someone would kick you off their site. I’ve considered deleting your comments. It’s not a matter of being open-minded. It’s a matter of understanding what we consider to be sacred and treating it appropriately. That’s why I asked if you were a former or ex-Mormon. The first thing we notice from former Mormons is that they begin to mock and show disrespect for sacred things, especially the temple. We feel strongly about certain aspects of our faith. So before we go on with our dialog on this or any other of my essays where you have left your comments, perhaps I can offer a piece of advice. We are a feeling people. Feelings are very important to us. You have made it clear that you dismiss the subjective experience of feelings as being of no value in determining truth. You apparently consider them irrelevant and misleading. You have pointed out over and over how important it is to be objective and that feelings are not a part of any intelligent objective analysis of the truth of religion. I have tried to understand your point of view in previous dialogs on other essays. It has been a bit of an eye-opener for me. I confess that I am a shocked that someone can contemplate religion disassociated with feelings. Perhaps I am reading you incorrectly. It is obvious that you are passionate about your attacks on my essays. And make no mistake about it. Your comments are indeed attacks. Therefore, you obviously have strong feelings about religion. Unfortunately, they come across very negatively. Perhaps you mean no disrespect, seeking only to cut to the heart of the intellectual discussion. My point is that any dialog on religion should, by the very nature of the purpose of religious faith, include the subjective experience of feelings. For example, I am very interested in knowing how you feel about the Redeemer as your personal Savior. What has he done for you and how does that motivate you to live your life better than you would if you were not Christian? I tried and failed to help you understand my point about additional ways to arrive at the truth other than objective and cold reasoning. You rejected the idea of personal revelation completely as being a valid model for discerning and accepting truth. Remember, for Mormons, the receipt of a testimony is associated with strong and sacred feelings that we consider the love of God. I’ve tried to make it clear that the feelings we have associated with our testimonies do not constitute the revelation we have received when we prayed about the Book of Mormon, or Joseph Smith, or the Book of Abraham or any of a dozen other topics. Nevertheless, the feelings are an important part of our faith. You have dismissed and ridiculed those feelings many times. Go read The Parable of the Helicopter on Nathan’s blog, LDS Philosopher. It expresses perfectly the conundrum that I feel when trying to explain the reasons for my belief in the LDS faith. You, and many others like you, simply cannot or will not accept our method of obtaining our own knowledge of spiritual things. Therefore, we will never be able to communicate effectively. We say we know something because we have prayed about it and received revelation. You say that we don’t really know what we say we know because that is not an acceptable method of coming to a knowledge of the truth. I understand you are challenging our testimonies and yes, we need to be ready to defend them, but without accepting personal revelation we’ll never agree. You said in a previous comment elsewhere that you accept the principle of personal revelation. Can you give me an example of how that works in your life? I have shared many here on my blog. In fact, it is rare that I don’t express some aspect of that testimony in just about everything I write. While I don’t come out and write, “I testify…” I do write, “I know…” in many places. For some reason, those who have left our faith find this particular assertion from the Lord, or from Joseph Smith if your don’t accept that he was speaking for the Lord, that we are the only true and living church upon the face of the earth, to be particularly offensive. You will hear this assertion many times if you attend an LDS worship meeting on the first Sunday of a month. So I’ll just conclude my comment by sharing in as clear and unmistakable terms as I know how to write that I know that I am a member of the only true and living church upon the face of the earth. I do not apologize for making that assertion, as I am only quoting the Lord as reported by Joseph Smith. He is not the only one who has received revelation or heard the voice of the Lord. Dear Tim, I must apologise. Apparently I have given the impression that I am an enemy trying to fight you. It has always been my intention to be very friendly with you (and other LDS here). Sometimes I speak too bluntly. I had no ill intent I reassure you. I do speak with a lot of passion. My passion for the truth-at least, what I consider to be the truth-should not be taken in an offensive way. Please forgive me if I came accross that way. And it was never my intention to ridicule or mock you or Mormonism. I was trying to explain certain things to you, certain disagreements, but always in a respectful manner. You asked about what Jesus has done in my life? He has delivered me from death. He is a constant friend (even when I am not a constant friend in return). As a man of intellectual bent, I particularly look to Jesus as the logos. I would like to point out next that subjective experiences and feelings do serve a very important role in the religious life. These are not bad things. However, in my opinion, they are over-emphasised in Mormonism and this leads to real epistemological problems. I took the time to read through the helicopter parable. I found it helpful for understanding your pov. Thanks for that. The whole personal testimony question is interesting and I do have more I'd like to talk about with respect to it. However, this post is about the exclusivity of Mormonism so I think it best to stay focused on that here and talk about the burning in the bosom elsewhere. So then, the basic idea that you have put forth in this post, is that the Church of Jesus Christ of Latter-Day Saints is 'the only true and living church' because of priesthood authority. There was, Mormons say, a great apostasy in the early church during which time the keys were removed from the earth until the days of restoration under Joseph Smith. I commented before about what I saw as problems with this claim. Any thoughts on why these observations of mine aren't valid? I look forward to your thoughtful response. Thanks for your time. Shalom out. Evangelical: Your email address includes Gary in it. May I address you as Gary? Please accept my apologies for the delay in responding to your latest comments on this essay. I don’t know how some of my fellow bloggers do it – write essays and respond to all comments immediately. My free time this past week has been consumed with my work responsibilities in providing for my family. I was lucky to get an hour or two last week just to read comments. I would like to clarify a point where we have misunderstood each other in our previous dialog about creeds. You said that the reason for the councils where the creeds came forth was to clarify the bible. I replied that of course, that was the intent of those who met in the councils. They wanted to come to an agreement on what the doctrines of the Christian faith should be. I misstated a single word in a previous dialog. I wrote, “You keep harping on the idea of the creeds being convened to clarify the Bible. I think that is obvious, but I'm not sure why that's important to you.” What I meant to write was that the councils were convened to clarify the Bible. The purpose of the councils was an attempt to come to unity of their faith and beliefs. I did NOT say that the resulting creeds from the councils explained more clearly what the Bible teaches. What I did say, or meant to say is that the purpose of the councils was an attempt to clarify the Bible. I did not say that they succeeded. I only said it was obvious what they were attempting to accomplish. To me, the resulting creeds that came forth did not clarify the Bible. I apologize for the misunderstanding. It was entirely my fault for using the word creeds when I meant to use the word councils. However, I think we can and do agree that the intended purpose of the councils was to clarify the Bible. Let’s not go back to that discussion. I think I understand your point that the creeds are very important to you and faith. You believe they clarify the Bible. I appreciate your apology. I am not offended by your passion in our discussion. You obviously feel very strongly about what you believe and so do I. As far as being an enemy…Well, I’ll just go back to one of your first comments on my blog in which you invited me to leave my faith. You also have stated several times that one cannot believe the Bible and be a Latter-day Saint. When our missionaries invite members of other faiths to be baptized into our church we like to tell them that they can keep all the truth they have learned and add to it the restored truths of the restoration. We also specifically teach them that they can and should keep their faith in Jesus Christ, who has been their friend and helped them through many rough places in their lives. I wish you could meet my friend Fred Dunlap who was baptized into the LDS faith about four years ago. Fred was very active in the local Church of the Nazarene here in Camarillo. Fred likes to say that he did not have to give up any of his faith in Christ when he was baptized. He simply learned to accept that God can and does speak to mankind through living prophets today. Thank you also for sharing how you feel about the Savior. I agree that Jesus has delivered us from death. We will all be resurrected so yes, we will live again with an immortal body, never to die again. This is a free gift from Jesus Christ to all mankind. He has also paid the price for our sins and thus delivered us from spiritual death, through our faith and repentance from our sins. Can you tell me more what you mean by Jesus as the logos? As I read about this on various online sources, I conclude that it means that Jesus was the Word, as John said, meaning the Word of God and therefore the means by which the world and the universe were created. Is that how you understand Jesus? If so, then I think we can agree that God created the worlds through him. Back to another dialog we have had elsewhere about subjective religious experiences. You feel that they are overemphasized in LDS theology and lead to epistemological problems among us. I appreciate that you took the time to read the helicopter parable. It makes it clear in a way that I had been unable to express how we can know things outside of objective empirical evidence. So now back to the point of this essay. You use the phrase “exclusivity of Mormonism.” Yes, I suppose that is one way to look at it. I had not consider it in that light, but I suppose that is what we are saying when we say that we are the only true and living church upon the face of the earth. Again, that phrase and the title of this essay, is a quote from the Lord as given to Joseph Smith. You mention the apostasy and the keys of the priesthood. Yes, that is the focus of this essay. You claim that the priesthood ended with Jesus. You also write that we have misunderstood and misapplied a single verse from the Bible where Peter is given the keys of the kingdom (Matt 16:19). That, of course, is the beauty of the restored gospel. We have so much more to offer. The priesthood did not end with Jesus Christ. He conferred this priesthood upon his twelve apostles, ordained them and sent them forth to represent him and to perform works in his name. They went forth in authority and cast out devils in his name. They healed the sick and caused the lame to walk just as the Savior did. They did this by virtue of the authority of the priesthood. The priesthood is not obsolete. It was lost when the apostles died without passing it on to others. I have added a reference at the bottom of the original essay to a great explanation of this concept as delivered by a living apostle. “…because of disobedience and loss of faith by the members, the Apostles died without the keys being passed on to successors.” We call this the apostasy. That is the beauty and the message of the restoration. Those priesthood keys were restored by Peter, James and John who appeared to Joseph Smith and Oliver Cowdery and conferred this priesthood upon them. One by one the keys of the priesthood were restored over the years until the sealing power of Elijah was given at the time of the dedication of the Kirtland Temple. We do not base our religion solely on the Bible. We have modern scripture and revelation that makes it clear what the keys of the kingdom really are. We really can know that this is true. I know that God will reveal the truth of our claims to the honest in heart who seek with real intent. We really can know what we claim happened. Joseph received the keys of the kingdom again. Greetings Tim! There is much I'd like to say in response to your last reply. But, I shall leave it for another time. For right now, I wanted to speak on a topic which is a bit off topic (though still quite important). Namely, the idea of Jesus as Logos. Before I do that, though, yes, you may refer to me by my real name, which is Gary. The word "logos" is a Greek term which is very broad in its possible meanings. When applied to Jesus, it does often mean, as you rightly point out, that He is the creative word of God. That is one meaning of the term but not quite the meaning I had in mind. So while "logos" may be translated "word" it may also be translated as "science". It is the latter connotation which I had primarily in mind. Now, "science" was a lot more broad back in the day than it is today. The original idea was more just "rationality in general" than, for example, physics or chemistry. As a matter of fact, "logic" is derived from "logos". Also, the "-ology" of biology, psychology, zoology, theology, ontology, and epistemology is also derived from "logos". Jesus, one might say, is the reason or logic of God. And logic is objective. So it is difficult for me to view Jesus as the Logos on the one hand, and, on the other, to live my religious life as primarily, and almost exclusively, on a subjective level. Moreover, to take seriously the Christ as the Logos, it seems to me, precludes one from having an overly subjective religion. But I need to back up here and clarify something. The LDS view is apparently based not on subjective feeling per se, but on the objective propositional truth accompanying the subjective feeling. You have made this clear elsewhere. And the Book of Mormon challenges us to "study it out in our minds" so here again we see objectivity. When I come to Mormonism as an outsider, however, I am hard pressed to see how these claims of objectivity are taken seriously within the LDS community. For all intents and purposes, the religion of the LDS is a religion of feeling, don't you agree? You have said yourself that Mormons are a feeling people and it is an eye-opener how anyone could be religious in any other way. Moreover, on mormon.org I watched a video in which a woman talked about how she was always so rational. She came to feel Mormonism was true, against her normal mode of living rationally, totally apart from reason. She openly admitted that she had no reason, only feeling, to believe Mormonism. Before I continue, I must stress once again, that there is a proper place for feeling and subjective experience in religion. These are given to us by God and He expects us to use them. However, He has also given us minds and He expects us to use those as well. Elsewhere I have made the claim that when Mormons are confronted with objective evidence against their faith, what they often may do, is retreat back to their testimony. You openly admitted that Mormons do do this. But this is exactly the problem I was trying to point out. Most of your posts at this blog are not about the idea of the personal testimony. Still, I think you can see how central, by implication, your personal testimony is to everything you say in response to "anti-Mormons". The mistake that many people make when thinking about Jesus is they'll pick and choose which aspects to believe and which to reject. Some may think of Jesus as a good man (which He certainly was) to the exclusion of Him as a righteous-divine judge (which He also was). Or, one may look at Jesus weeping at the tomb of Lazurus and ignore what John says about Him as the Logos. We need to take all the scriptures as a whole to get the true picture. Mormons admit additional scriptures which Evangelicals do not. That is not the problem per se. Rather, the more serious problem is when the additional scriptures change the biblical portrait of Christ. Jesus really is the Logos, for example, though Mormons tend to deny that (by implication). As a Christian, it is not wrong for me to examine my faith. The Logos wants me to reflect logically upon Christian faith. When I do, my faith (which is EVIDENCE of things not seen) grows. But we are also to exercise reason when examining the views of others. When I apply reason/evidence to Mormonism my disbelief in it grows. And the logic that I use when looking at Mormonism is the same logic which is available to you as well. In conclusion, logos, in the sense of "science" is about more than just proving Christianity true and disproving Mormonism. But that is one application of it. And while you may disagree with my analysis, I hope that what I've said makes my own point of view more clear. Dear Tim, I hope my last comments provided food for thought. You don't have to comment on them as they were rabbit trail comments (though still important). Now back to the matter at hand. All of the things you are saying about the priesthood and the keys (in your last comments) are not in the Bible. I do not mean that after the Bible further revelation was given to fill in the gaps. Rather, what I mean is that the Bible itself contradicts the claims you are making. And that is a very different matter. I won't repeat all the stuff I've already explained about this. You can refer to my older comments to see those. It does seem that those comments present a biblical picture which is incompatible with the picture you (and all other LDS)are painting of the priesthood. It does no good to the progress of the conversation to merely re-assert what Mormons believe. What we are talking about now, I thought, was not the what but the why of the belief. So then, I ask again, what do you say about the apparent biblical teachings (as explained in previous comments of mine here) against the LDS understanding of the preisthood? Thanks in advance for your thoughtful response-when you get the time-and shalom out. I guess I missed where you taught us that the Bible contradicts what we believe about the priesthood and especially the keys of the priesthood. This dialog seems so much like what a conversation my wife described to me when she served as a missionary in Kansas. She happened to knock on the door of a pastor of the Assemblies of God church. He invited the sister missionaries in and they had a nice discussion about this very subject. They went back and forth quoting scripture to each other and neither one was convinced that the other had a leg to stand on. I will offer a few scriptures and you can tell me I'm wrong. Isn't that how this dialog will go? That seems like such a waste of time to me. We should be focusing on the idea of personal revelation and how one can know for themselves what someone else claims to be a correct interpretation of scripture. But, to add a few additional scriptures into the mix, how about Hebrews 5, where High Priests are mentioned as being ordained in the New Testament church? Verse 10 even mentions the order of Melchizedek. Where else but in the LDS church do we find High Priests after the order of Melchizedek? And what does it mean to be called of God, as was Aaron? How was Aaron called? Were you referring to Ephesians 2:19-22 when you said that Christ is the foundation of the Church? Paul teaches us that the Apostles and Prophets are the foundation, with Christ himself being the chief corner stone. Or maybe you were thinking of Ephesians 4:11-14 where we are taught the real reason for prophets and apostles - to not be deceived by every wind of doctrine and the ideas of man. The organization of the church that was restored through Joseph Smith was the same organization that existed in New Testament times. Christ ordained the Twelve Apostles from his disciples. The Seventy were also ordained and sent out to preach the gospel. There was definitely a organized group of men ordained to the priesthood in New Testament times, even after the death and resurrection of Christ. Simon recognized that there was something to this priesthood power when he offered money to Peter that he also might have it (Acts 8:18-20). The priesthood is the authority to act in the name of Jesus Christ. This is evidenced by the evil spirits who would not respond to the vagabond Jews who tried to cast them out. "Jesus I know and Paul I know, but who are you?" 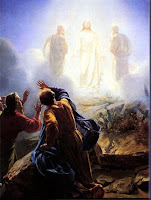 And they leaped upon them (Acts 19:13-16). I could go on and on with Biblical references that clearly teach that the priesthood is real, that it is necessary, that it was given to men by Christ and passed on by his apostles and that it existed for a number of years in New Testament times until the Apostles were killed and unable to pass that authority on to others. As a Quorum they possessed the keys of the priesthood, a critically necessary component of the true Church of Jesus Christ. Yes, Jesus was and is our great High Priest, but the priesthood did not become obsolete when he finished his mission on this earth. The purpose of the priesthood is to serve others in the name of Christ, specifically in administering ordinances of salvation such as baptism and the laying on of hands for the gift of the Holy Ghost. I am just one witness among untold millions who know this to be true. We have the keys of the priesthood and are the only church on the face of the earth authorized to administer the ordinances of salvation, both for mortal man and by proxy for those who are living on the other side of the veil. We invite all men everywhere to listen to our message and assure them that they can come to know this for themselves independent of any other person, living or dead. Tim, I am glad to see you presenting a bibilical case for your position. I do not think it is a waste of time to come to a better understanding of scripture (and, of course, that was not what you were saying). We each believe the Bible and it is some common ground which we both hold as authoritative. I have no problem with the claim that the apostles and prophets provide a foundation for the truth. However, Ephesians 4:11ff says NOTHING about preists. The offices which are listed are, as you rightly point out, to help us to be mature enough not to be carried about by every wind of doctrine. For example, a mature Christian would not be easily led astray by the Jehovah's Witnesses at his door. Likewise, he would be able to discern the unbiblicalness of the LDS missionaries, as well, when they come to his door. What you have done, above, is set out your biblical case for your view. But this is only half the job. To be complete, you'd have to show why my interpretation is wrong. In any case, I do not find your case very compelling. I went over to your link (at lds.org) and reread Hebrews 5. There is nothing in that passage that I could see about preists being ordained into the New Testament church. It does speak of a preisthood, even Aaronic and Melchizedekian preists, but there is nothing about them being an integral part of Christianity. As a matter of fact, the whole context of Hebrews is the supremacy of Christ over certain aspects of the Old Testment. For example, the Aaronic preisthood. What Jesus offers is better than what Moses offered. Mormons apparently want us to stay with the Mosaic which, you will note, Paul (or whomever wrote Hebrews) condemns in Hebrews chapter 5. The New Testament church did NOT include Aaronic preists (though it did include, obviously, at least one Melchisedekian preist). What Joseph Smith established did. So they CANNOT be the same church. Then the two Acts passages you site, are alluding to the laying on of hands by the apostles. It was the apostles and NOT the prophets as you seem to think. In the latter passage, by the way, it was a PREIST who LACKED AUTHORITY. To conclude, you did not directly address the faultiness of my interpretation and your biblical case rests on passages which do not appear to say what you want me to think that they say, once I look them up for myself and read them. What say ye to this? I think I've been going about this wrong. I've neglected to fully understand your point of view on the issue of authority. Let me see if I can state your position. Please correct me if I am wrong. You believe that there is no need for authority in the true church of Jesus Christ. Wait, I haven't even determined if you believe that there is a need for a formal organization of a church. I define a church as an organized body of believers, led by those are placed in authority over the church by Him whose church it is, in this case, Jesus Christ. Do you belong to a formal church organization? If so, have you belonged to the same church all your life or have you changed churches according to how well you like what the pastor preaches? Oh wait, are you a pastor or ordained minister? I was ordained to be a minister, authorized to preach the gospel of Jesus Christ. I still have my ministerial certificate. Is my ministerial certificate valid? If so, what made it so? Can anybody become a minister just because they feel like it? What is the whole point of becoming a preacher of righteousness unless it is to represent Jesus Christ? Isn't that why Jesus ordained twelve of his disciples and called them his Apostles? Did those apostles ordain others to that same priesthood that they held? Oh wait, you say that the Twelve Apostles did not receive anything like priesthood authority when Jesus laid his hands upon them and sent them forth to heal and to cast out devils in his name. Did Peter receive the keys of the kingdom or does that phrase mean nothing to you? If so, who is the rightful successor to his position as the head of the church after the Savior was crucified? So you believe there was no apostasy or falling away of the church after the apostles were killed. You believe that the early Christian fathers were fully authorized to represent the Lord Jesus Christ and to speak on his behalf. Were they members of the Roman Catholic Church or did that not come into existence until after Constantine took the fledgling Christian church under his political protection? You believe that a church isn't really necessary - just believe in Christ and you will be saved. Is that correct? What about baptism - is that necessary? If so, who is authorized to perform that saving ordinance on behalf of the Lord? I know he didn't baptize anyone but Peter sure made it clear on the day of Pentecost that we all have need to be baptized and to receive the gift of the Holy Ghost by the laying on of hands by one who is authorized to do so. Who has the authority to hear my confession and determine if I am worthy for baptism? Shouldn't it be someone who the Savior has told us how to recognize? I don't want to be confessing my sins to just anyone. If I get to Heaven and Jesus asks me if I did all the things he said needed to be done to be saved, who will preach that to me? And how can I be sure that they are preaching the truth? Ah, we are back to the same thing on which our original dialog started on one of my other essays. How can we know the truth? Who can I trust to teach me the truth and will that be the truth that lasts after I die? You do believe in the resurrection, don't you? What do we do in the spirit world while we are waiting for the day of resurrection? Sorry, I've asked a lot of questions and haven't really stuck to my original intent which was to try to state what I think you believe. Perhaps it can be summarized as follows: You believe that there is no need for authority of the priesthood and that there is no such thing as the keys of the kingdom. You believe that all we have to do is to believe in Jesus Christ, and nothing more. He will then save us and we will live happily ever after with him in heaven. It sounds real simple. Where do I sign up? There's no need to live a good life or to try to serve others or to do anything other than believe. That's it, right? Nobody has the right to tell me how to live my life. There is no need for God to speak through prophets or apostles today. Hmmm...then who am I going to be watching and listening to this weekend in General Conference? The fifteen men who will be speaking this weekend, claiming to be speaking for God, are simply misguided men who are perpetuating a great hoax started by a deluded but charismatic young man named Joseph Smith who never really saw God in 1820 like he says he did. And the Church that he started because he said that the Lord Jesus Christ told him to is really not necessary and is not the Church of Jesus Christ for our day. Has that about summed it up? Maybe someone should tell the millions of the faithful believers that they will be wasting their time this weekend as they watch and listen to these men whom they uphold as prophets and apostles. We really don't need them, do we? We've got everything we need in the Bible. It's infallible and perfect even though nobody seems to be able to agree on what it really says. We have no reason to believe that God speaks to man through prophets today, right? I apologize for my sarcasm, but I'm just getting a little tired of others telling me what I believe or trying to interpret the Bible for me without first convincing me that they are authorized to speak on behalf of the Lord in so doing. I'm sorry, Gary, but you are no different from the many thousands of others who claim that their interpretation of the Bible is the right one. You write with confidence and you act as if you are very sure of what you believe. I think that is wonderful. I'm not trying to take away your faith in Christ. I'm just trying to point out, as I did in the closing line of my essay, that before I let anyone else tell me what to believe about God's word, I would want to make very, very sure that they really are authorized to speak on behalf of the one who said he can give me eternal life. Are you authorized to speak for God in interpreting scripture? If so, state your authority. Convince me that Jesus Christ knows you and has authorized you to do so. How shall I know that the message you are trying to give me is one that I should believe? I'm sorry, but I just don't believe you because everything you have been telling me does not square with what I have learned through personal revelation over the years about the doctrines of salvation. Thanks for your words, but they do not ring true to me. I choose to believe that God can and does speak to mankind through prophets that he has called in these modern times. I accept what they have to say as being the word of God to me because the Holy Spirit has borne witness to my soul that they speak the truth. Joseph Smith was and still is a prophet of God and was given the authority to speak on his behalf. The church that he organized was and is the only true and living church of Jesus Christ on the earth today. It is the only church that is authorized to administer the ordinances of salvation that I want and need to fulfill the commandments of Jesus Christ to repent and be baptized. I look forward to meeting Joseph Smith so I can thank him for his courage in sticking to his word. He said that he saw God and I believe him. He said that he was ordained by Peter, James and John as resurrected beings and I believe him. He ordained others and that authority of the priesthood has come down to me so that I also can baptize, bestow the gift of the Holy Ghost and ordain others to the priesthood. And that is an awesome thing! Tim, your comments really don't seem to have anything to do with the topic at hand. Your first point about what you think I believe-and you asked me to correct you if you were wrong-is not really what I believe. To state what I really do believe here would be taking us too far afield. Your next point was that you are extremely conderned over the whole matter of authority. This is a major stumbling block for Mormons. This is difficult for me to understand because I just don't see what the big deal is, quite frankly. I mean, who says we need authority to baptize somebody? Can't we just baptise whomever comes to Christ? Where is the need for special authority? Or couldn't even an atheist teach the Bible? I understand THAT authority is a major issue for you, as an LDS, but I just don't see WHY it should be. And your third major point, to the best of my understanding, is that, at the end of the day, you just base all of your beliefs on feeling and/or subjective experience. This, even in the face of objective rational arguments to the contrary, which, apparently, you refuse to even consider. So let us sum up our dialogue, on this post, thus far. You start out by saying that the LDS sect is "the only true and living church" because it has preisthood authority. I responded by showing biblically why that claim is false. I did not merely quote passages but explained why my interpretation was the best one. To do this, I used the ordinary techniques of reason and interpretation that are open to all men when they interpret a text intelligently. Then you made some comments that were off topic. Then I challenged you to stay focused, at which point you did attempt a biblical case. Then I showed why your interpretation was untenable. Finally, you made some more comments which were off topic and concluded with a claim that people in all religions can make. Namely, that you just feel it is true. And this perfectly illustrates what I have pointed out elsewhere. When confronted with evidence (and biblical faith is the evidence-as opposed to the feeling-of things not seen) Mormons may retreat to their personal testimony which safely sheilds them in a bubble from which it is impossible to rationally dialogue with them. You insist on placing yourself within the bubble of your own subjectivity? Then will you at least admit that there is no good reason (as opposed to good feeling), for those of us outside of your bubble, to accept your view of the preisthood, and the keys, and the exclusivity of LDS Mormonism, and, further, that there is good reason for us to reject it? You asked, "Who says we need authority to baptize someone?" I'll provide a few scriptural references but of course, who is to say whose interpretation is correct - yours or mine? I believe that I am reflecting the interpretation of men who are authorized to interpret scripture - prophets and apostles. Matthew 7:21-23 is a great general background scripture on why it is necessary to have authority to perform works such as baptism in the name of the Lord. Without his authorization, he will say, "I never knew you. Depart from me." Matthew 10:1 is worth quoting directly: "And when he had called unto him his twelve disciples, he gave them power against unclean spirits, to cast them out, and to heal all manner of sickness and all manner of disease." What is this power that he gave and why did he give it? It was the power of the priesthood, his power, his priesthood, that he shared with his Twelve Apostles. Acts 19:1-6 - Where did Paul get this authority to re-baptize and then lay his hands upon the converts at Ephesus who had not yet received the Holy Ghost? Heb 5:4-5 - And of course, this one I have already quoted but you rejected it. No man can go about performing ordinances in the name of Christ unless he has been called to do so as Aaron was - by a prophet. Mosiah 21:33 - The people wanted to be baptized but could not find anyone who had authority to do so. Mosiah 18:18 - Alma, having authority from God ordained priests to teach the people and perform ordinances. 3 Nephi 11:21-28 - The Savior taught the manner of baptism and included the words, "having authority given me of Jesus Christ," as one of the first things he taught to the Nephites, showing how important it was. D&C 42:11 - "Again I say unto you, that it shall not be given to any one to go forth to preach my gospel, or to build up my church, except he be ordained by some one who has authority, and it is known to the church that he has authority and has been regularly ordained by the heads of the church." 5th article of faith - "We believe that a man must be called of God, by prophecy, and by the laying on of hands by those who are in authority, to preach the Gospel and administer in the ordinances thereof." Gary, you don't need my permission to reject these scriptures or the interpretations of them. We believe that a man must have authority to speak in the name of the Lord, to act in the name of the Lord and especially to perform ordinances of salvation in the name of the Lord Jesus Christ. You are obviously incredibly focused on reason to the exclusivity of all feeling. I readily admit that my religion is deeply based on feelings and appears illogical or unreasonable to those who have not experienced personal revelation. You are welcome to reject my witness, born of the spirit, and that of millions or others over the years that what we teach is true. My witness has been rejected many times before in several nations of the world. Go ahead and claim your victory that you have proven that you are right, that Mormon claims are illogical and unreasonable. Write it up all over your blog. I pray the Lord's blessings upon you and wish you a long and happy life. Thanks for the dialog. I look forward to meeting you in the next life where we will look back and talk about our little exchanges with fond memories. God bless! I’ve done some more thinking about your apparent bewilderment over the need for priesthood authority and have decided that your desire to deny it stems from theological necessity, rather than historical or biblical evidence. You obviously do not believe in apostolic succession or you would be a member of the Roman Catholic faith. I’m not sure if you’re a Reformationist but I know you’re not a Restorationist as I am. It seems clear that you claim your authority from the Bible and not from any intermediary church leaders. Therefore, because you cannot claim authority to speak or act on behalf of the Savior from any legal source, you have made up your own – the Bible. The Bible repeatedly speaks of a priesthood authority outside of Jesus both before and after His resurrection, with John describing such callings just prior to the second coming. Early Christian authors have also insisted that high priests, prophets, bishops, elders, priests, and deacons with priesthood authority persisted among the Christians. You have chosen to ignore clear evidence from the Bible of this priesthood organization in order to support your theological break from the true doctrine of authority. The early church had priests along with bishops and deacons. Origen spoke of the church hierarchy in the 2nd century describing the priest's office as being between that of the deacon and bishop. 1 Clement (ca. 96 A.D.) divides the priesthood into High Priests, Priests and Levites. These Levite were also called "Deacons" according to Justin's First Apology (ca. 150 A.D.) and were responsible for passing the bread and wine to those attending service." Do not be so quick to dismiss the Aaronic priesthood as being non-existent. Though the title priest was rarely used in the New Testament, so also were similar priesthood titles such as pastor (Eph 4:11), evangelist (Act 21:8 & 2 Tim 4:5), presbytery (1 Tim 4:14), and seventy (Luke 10:1, 17). In short, early Christian history, both secular and scriptural shows that there was a functioning priesthood. Now it is my turn to confess bewilderment over the idea that anyone can claim authority merely from reading the Bible. Such thinking represents a basic disconnect in understanding the true purpose and definition of authority, which is to represent someone else in speaking or acting. God, through Jesus Christ, is the ultimate priesthood authority. This authority is his alone and can be given to mankind only by him. Thus, he is ultimately, and was originally, vested with the authority to raise his children to an eternal life with him and can dictate what is required. In turn, He delegates priesthood authority to either church leaders or to individuals to act in his name in bringing about eternal life among his children. This is evidenced throughout the Old Testament as well as the New. God has always leads his people through ordained priesthood. Amos 3:7 teaches us that, “Surely the Lord God will do nothing, but he revealeth his secret unto his servants the prophets.” God’s secret is the means by which the children of God may come back into the presence of God, including the atoning sacrifice of Jesus Christ. God always calls prophets to reveal his will and he has done so in our day by calling Joseph Smith as the first prophet of this last dispensation of the fullness of times. He restored the authority of the priesthood to him through the very men who held that priesthood anciently. The keys of the priesthood are vested in his legal successors, whom we sustain as prophets, seers and revelators, modern-day Apostles of Jesus Christ, called and ordained to teach his gospel and to administer the ordinances of salvation, including the sealing power in the temples of God. Dear Tim, I think I need to back up, at this point, and clarify where I stand on the issue of authority. You have speculated about what I believed but now I will tell you plainly. The post above, however, is not about priesthood per se, but about the exclusivity of the LDS institution. Nevertheless, this apparently boils down to the question of preisthood authority and so let us focus upon that at the moment. So then, what do I believe? I believe that you are quite right when you appeal to biblical passages about authority. And authority is important for the modern-day church. But I think you are misapplying the concept. When we Evangelicals pray-and Jesus Himself said to do this-we are to pray in the name (or authority) of Christ. Moreover, the New Testament apostles had a special authority from God as did the Old (and New) Testament prophets. Moses had authority to lead the Israelites out of Egypt. And what is the baptismal formula? I baptize you in the name (one) of the Father, Son, and Holy Spirit (three). So yes, biblical authority (I.e. authority as taught in the Bible) is very important. We may take it for granted. You would like us to focus upon it to the exclusion of almost all else. Now, I must point out, that you are conflating several terms. We must not do that, else meaningful discourse breaks down. A prophet is not an apostle is not a priest. A prophet speaks to man for God. A priest goes to God for man. An apostle is an ambassador sent out on behalf of the king. The roles are fundamentally distinct (though, of course, a single man may be simultaneously all three). Prophets are primarily (though not exclusively) confined to the Old Testament and addressed themselves primarily to the Jews of that time. Apostles, I further believe, were confined to New Testament times and immediately afterwards. It is difficult for me to accept that anyone in the 19th through 21st century actually saw Jesus. Paul saw Jesus after His departure but, it seems (to me), he was unique. Since Jesus is no longer here, neither are apostles (because they needed to be eye-witnesses of Him). Now let’s take a second look at priest. In Judaism, there were, apparently, two sorts of priests. After the giving of the Mosaic law (including the book of Leviticus) there was a formal priesthood. These persons had to be Jewish, and what is more, descendants one particular tribe of Israel-namely, Levi. If Joseph Smith was not a descendant of Levi, therefore, he had NO authority, according to the Bible itself, as an Aaronic priest. Prior to the giving of the law there was still some type of sacrificial system with its corresponding priesthood. As near as I can tell, this developed as follows. God wanted to impress the need for blood atonement as a hint of the coming Christ. So when Adam ate the forbidden fruit, the motiff of animal sacrifice was set up in giving them coats of skin. But the main idea was not the ritual killing of animals but the coming sacrifice of Christ. Before the sacrificial system was codified, and before Jews and Levites even existed, who were the priests? The patriarchs. That is, the fathers of the various God fearing families. Melchizidek (who may have been Seth) was no doubt one of these patriarchs. So then, prior to the time of Moses, all priests were after the order of Melchizidek. That is, they were not descendants of Levi. Once Leviticus was written, however, the Melchizidekian priesthood became obsolete. ALL priests from then on had to be descendants of Levi. Fast-forward to the times of Jesus. Jesus died for our sins. The system of animal sacrifice, for all intents and purposes, came to an end when Jesus died. The animals were symbolic of Jesus. Once the substance arrived on the scene, there was no longer any need of the shadow. So Jesus died for us as an animal sacrifice. He was also priest. Then in 70, the temple itself was no more. The temple is where the priests did their priesthood thing. What do priests do? They sacrifice animals which, by the way, can only be done within the temple which no longer exists (LDS temples are not at the Dome of the Rock which is where they-actually it-needs to be). Then comes Paul, or whomever, with the book of Hebrews. He is trying to explain to certain Jewish persons how Christ supersedes the Old Testament shadows (including the sacrificial and corresponding priesthood system). Jesus was not a descendant of Aaron so he could not be an Aaronic priest. However, the priesthood in general, including that prior to the time of Aaron was but the mere echo cast by Jesus. It was all leading up to the grand finale which was Jesus. After the climax, then what? There is no longer need of the schoolmaster. I DO accept an important role for feeling and subjective experience in true religion. I am not merely rational. That is not the problem. The problem is, apparently, that I include rationality in my faith and you do not. Perhaps an analogy would help make my perspective clearer. Imagine that you are a grade school teacher. You give your class a test to determine their understanding of basic arithematic. One particular child writes down, “2 + 2 = 5”. You rightly mark this incorrect. The child protests, “but you don’t understand how strongly I feel that my answer is correct.” You say it is still wrong. The child then protests, “I prayed about it, and God told me that it really is five. But, you won’t be able to understand that because you’ve never had a similar experience. Besides, this is spiritual [math is abstract, hence immaterial, hence in some sense spiritual] truth and spiritual truth must be spiritually, as opposed to scientifically, discerned.” Should you mark the test question correct? Of course not. That a real child would not use such phrases is besides the point. That point is that that is essentially what you want me to do. You want your test question to be marked ‘correct’ when you say “2 + 2 = 5”. I cannot do it. The sooner you realize it is actually 4, the better. But then you did appeal to biblical and historical considerations. I have already dealt with the biblical side of your case. Now let’s turn to history. The early church spoke of a contemporary priesthood? Even if that is correct (and I’m not here denying that it is) I am not sure what to make of that. After all, this is the church that, on the LDS view, is in hopeless apostasy and without any authority whatever. Why take there word for it, if they’ve lost the keys? Furthermore, what the Patristics said, on my view, is not considered to be inspired. For example, Augustine had an overly extreme view of sexual impurity. He was a genious of a theologian but I do not agree with him on this point. As an aside, part of the reason which necessitated the need for the councils was the wacky things that some of the fathers were saying. It was to guard against, not introduce, the teachings and commandments of men. As for Eusebius, he was a Roman Catholic and, to this day, they refer to church leaders as priests. How often does a Catholic priest sacrifice an animal? It is used in an analogous sense. The Old Testament priests went to God for man and Catholic priests believe they can do the same. But they are niether Aaronic or Melchizidekian. The other fathers you quoted were speaking about what essentially seems to be, pastors. I never said a person gains authority merely from reading the Bible. Please do not put words into my mouth. Finally, what Jesus did on the cross, was all that was necessary for salvation of all mankind. There is no salvific need of priests, ordinance, or works. For by grace are you saved.